I just started using Affinity Designer at work and I love it so far. One of the features that will really come in handy is to collapse all artboards with one shortcut key. I usually end up with several artboards in an Affinity Designer file and it gets pretty annoying to navigate through layers on top of layers. So please add this feature to the next rollout of the app. +1, this would be really helpful. Additionally, this should also be on context menus. I believe these "Collapse All"/"Expand All" should be in the same places as Designer's 1.6 Beta 5 "Hide All"/"Show All". Yes I work with a LOT of artboards as well and it would be great to have a Collapse All Layers and a shortcut key that is assignable for this. Just to be clear, I don't want to flatten layers at all. I just want to tidy up the view in the layers panels so that I can easily move the order of the artboards. 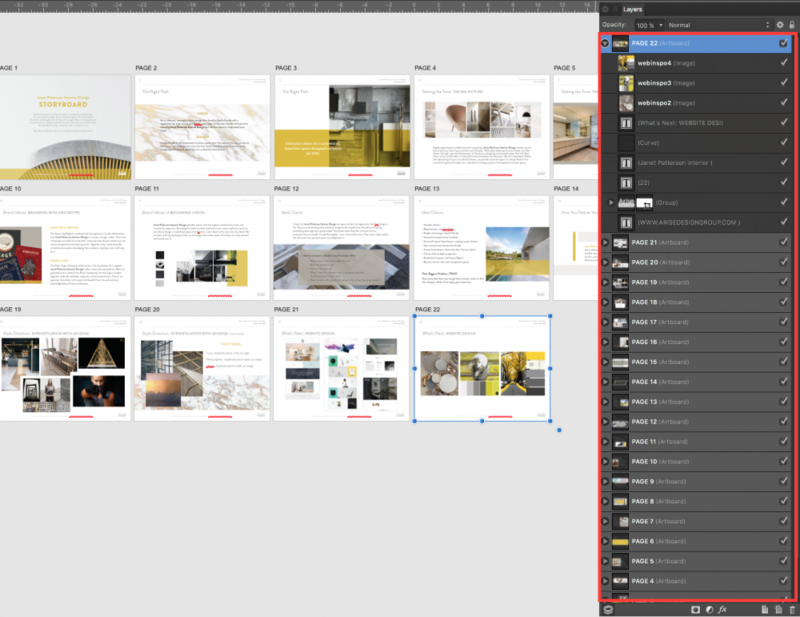 What's really great about Designer is that you can select a layer/object and if you have "auto scroll to show selection in layers panel" then you have a tremendous navigation benefit, but then you have to clickety-click so many times to see the artboards all collapsed. Just checking any updates as this has been since 2017?